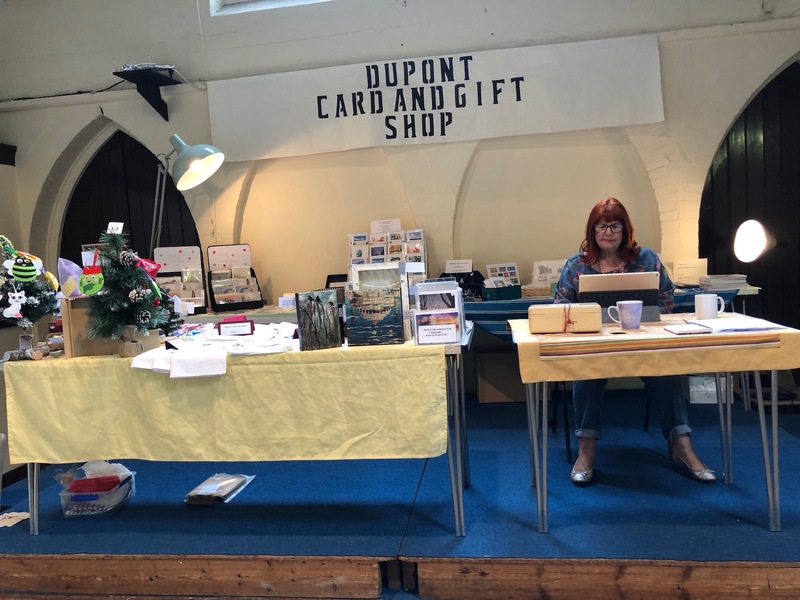 As part of our annual art exhibition, for the first time this year Dupont has had a separate area for their gift shop. Even though it was in an elevated position it did very well, however next year we will put it at ground level. The photo shows Tina Stiles overseeing the stall.